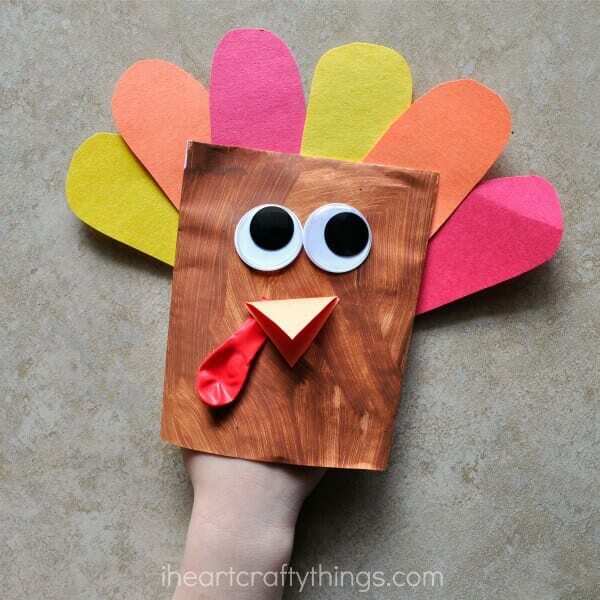 Sure, we love all the beautiful centerpieces and fall-centric wreaths, but nothing screams Thanksgiving as much as a few good old turkey crafts. 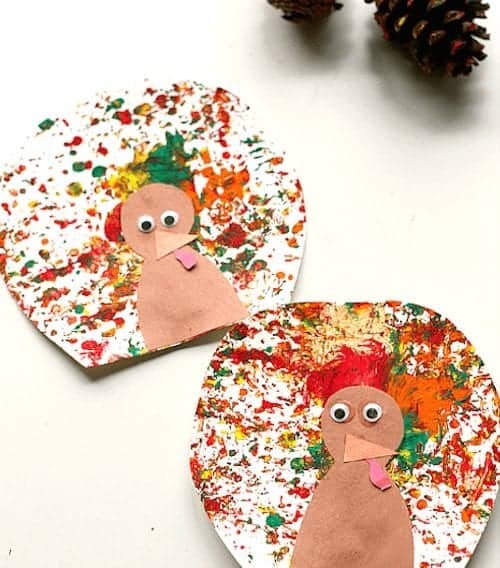 Made using handprints or a slew of colorful feathers, turkey crafts are an incredibly fun and festive way to celebrate the holiday, especially for kids! 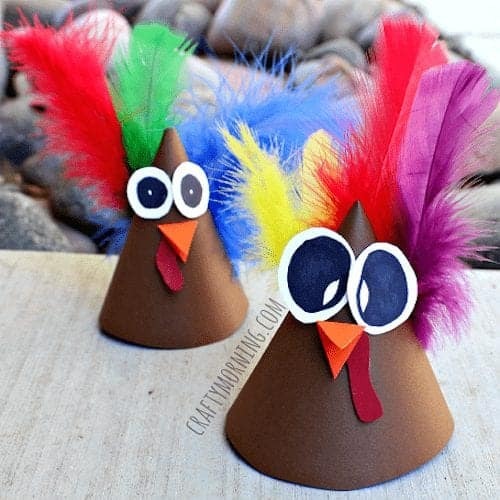 You can go fashionable with a turkey hat or incorporate your leftover pumpkins into your DIY, either way, these adorable crafts definitely don’t disappoint. It doesn’t get any more simple than paper plates and construction paper. These cute little turkey hats are extremely safe, relatively easy, and super fun to wear. Let your little ones enjoy their delicious turkey dinner in their adorable turkey hats. 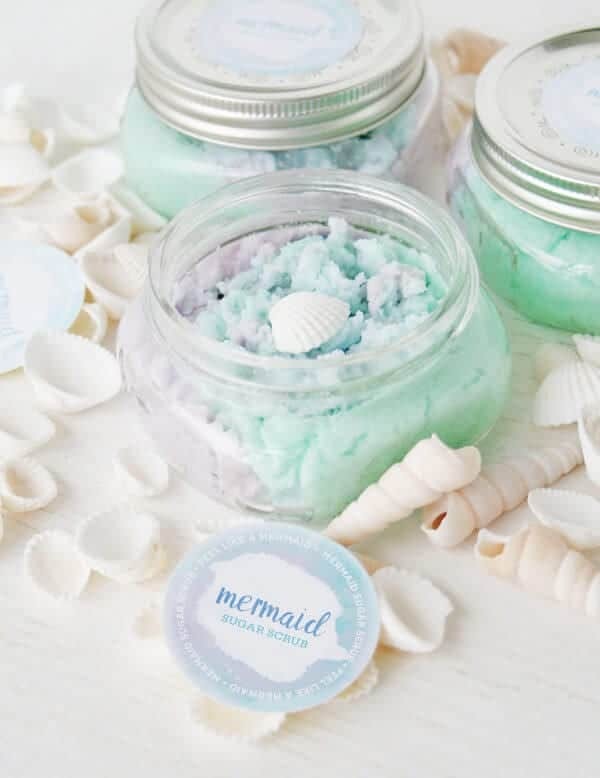 Head over to Honey & Lime to find more awesome craft ideas, delicious recipes, and travel tips. Your kids can use this glowing turkey as a Thanksgiving themed nightlight or as some cutesy, crafty decor around the house. 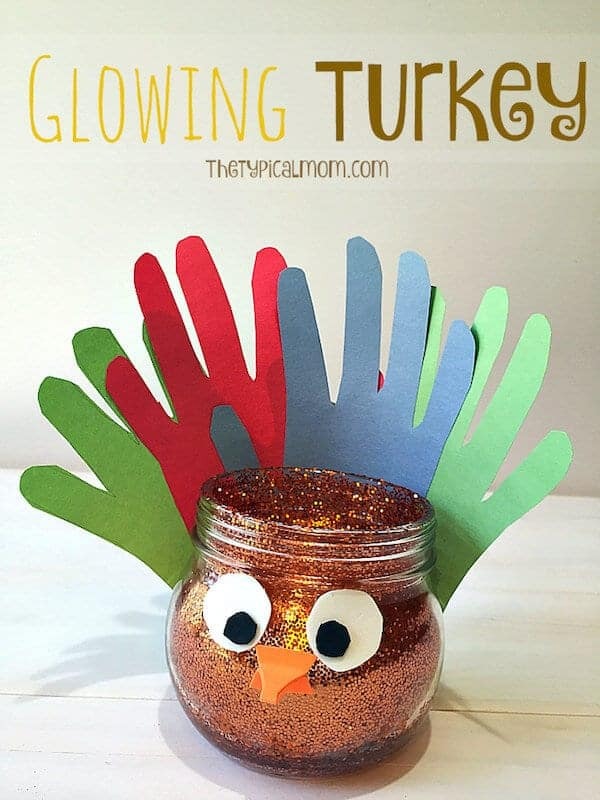 Using a few traced handprints, a glass jar covered in glitter, a tea light candle, and a silly turkey face made out of sticky back foam, the holiday spirit is perfectly encapsulated in this fun craft. Find adorable mommy anecdotes and more kid-friendly DIY ideas at The Typical Mom. 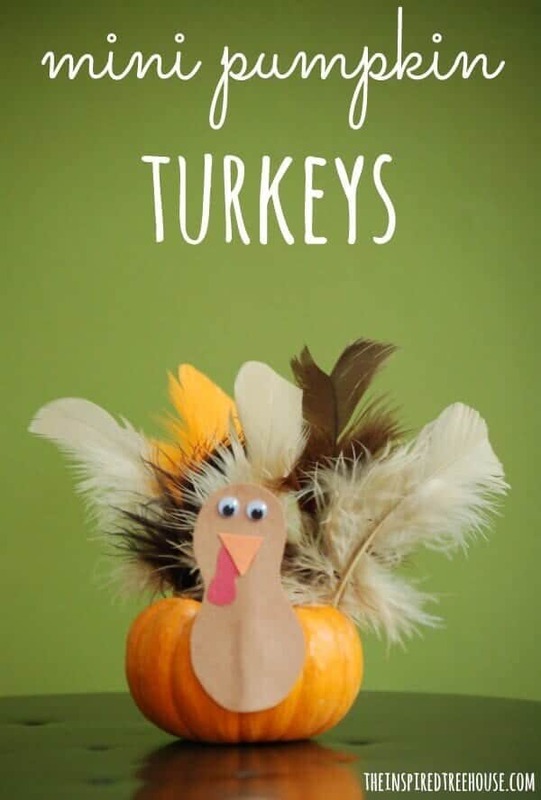 These simple but awesome turkey puppets make some pretty cool bedtime story aides, but they’re also great for some creative playtime activities as well. 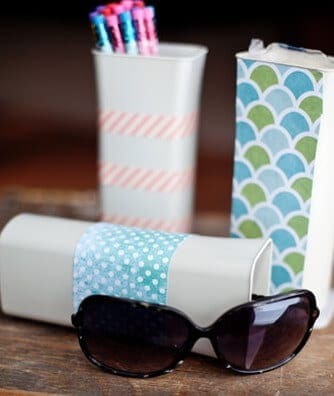 All that’s needed to complete this project is a few simple white envelopes, some paint, construction paper, and the cutest googly eyes you can find. Find crafting ideas for the entire family at I Heart Crafty Things. These simple turkey cones can be used as party hats, for playtime, or for both, that’s how versatile they are. The cones are made out of simple brown construction paper while the other features are created with other simple crafting supplies. This craft is completely adorable and super festive. 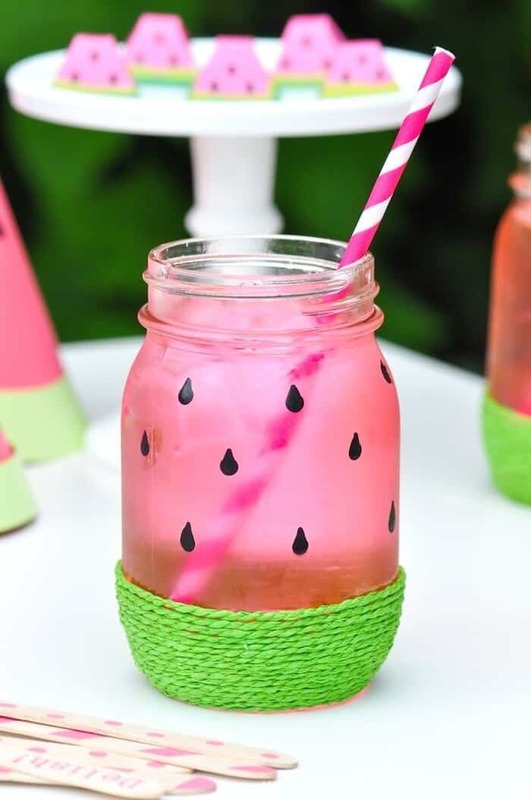 Get crafts for every occasion and tons of amazing recipes at Crafty Morning. If your family is having a surplus of cute, tiny pumpkins, this turkey craft may give you something to do with those orange cuties. These turkeys are super easy to make and only require a few materials. 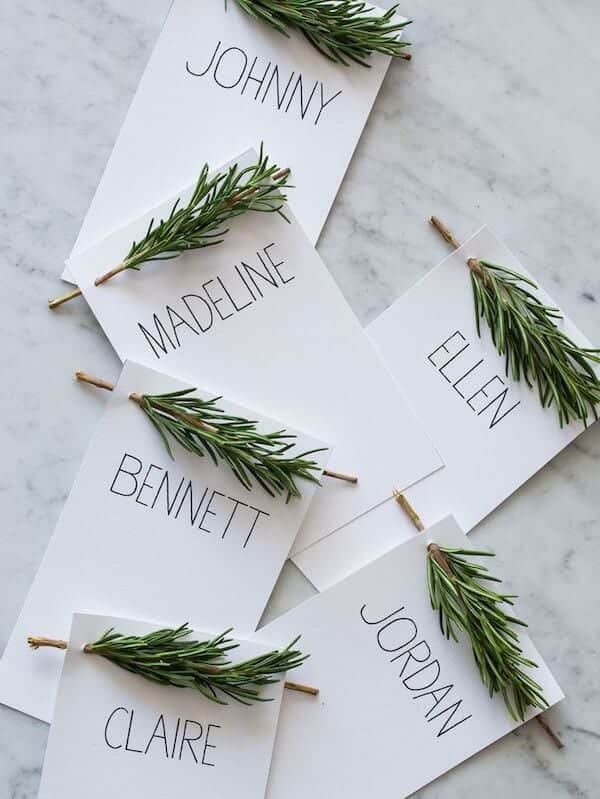 Use them as decorations on your Thanksgiving table or let your little ones use them as particularly festive toys. Find information on child development, fun DIY projects, and more at The Inspired Treehouse. Painting with pinecones is a fall activity that has been entertaining kiddos, seemingly, since the beginning of time. 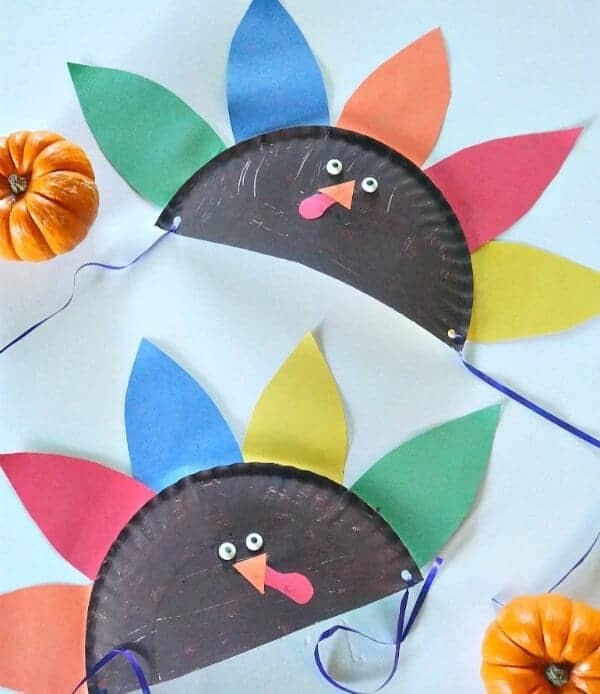 But when this fall staple craft combines with cute little turkeys, it makes things even more interesting. 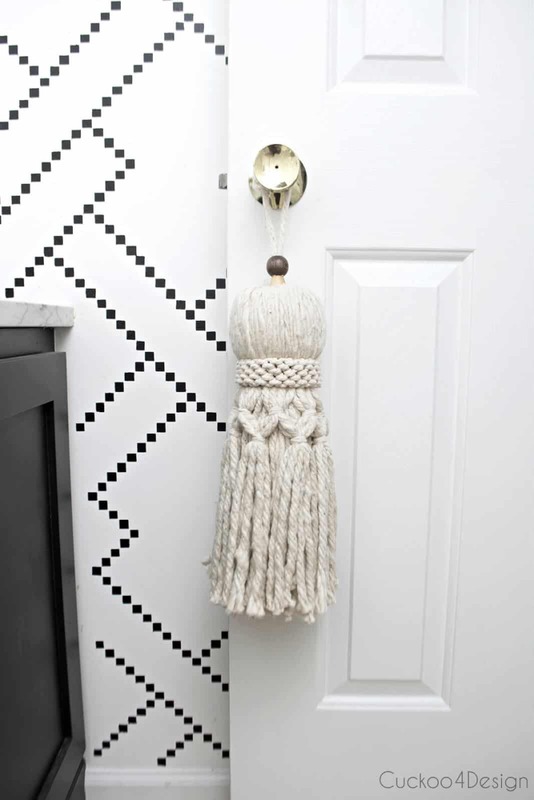 This craft only requires a few materials and while it may get messy, these refrigerator door worthy crafts are more than worth it. Get tons of great learning and development resources at No Time For Flash Cards. There’s no way we could make a Thanksgiving-centric craft post without including a DIY that incorporates leaves in some way. 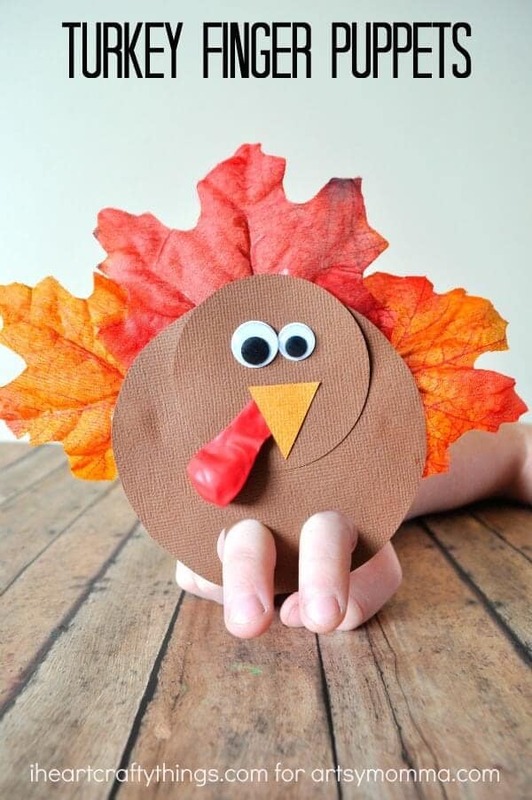 These turkey finger puppets are one of the best uses of fake leaves and card stock paper you will ever experience. 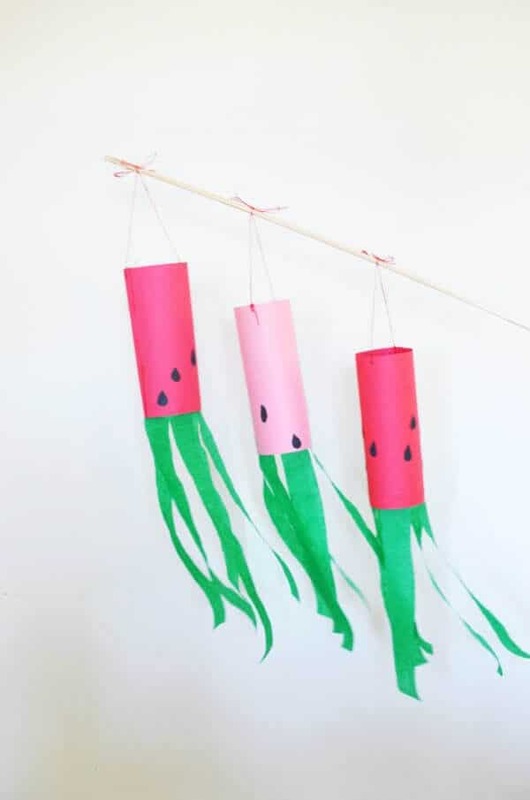 Get more cute, fun, and festive craft ideas at Artsy Momma. 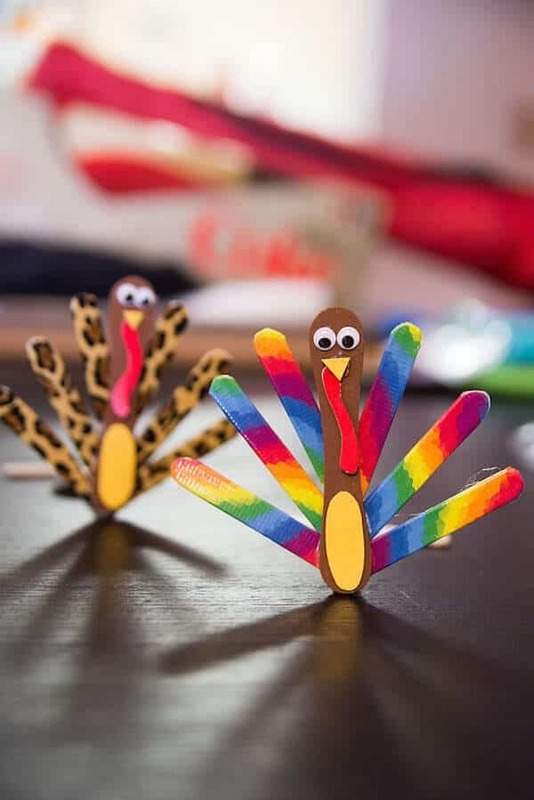 This craft uses the cardboard scoops from ice cream bars as well as regular popsicle sticks to make cool, colorful turkeys. The sticks are covered in and designed using funky duct tape and put together using hot glue. 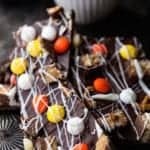 This project is completely stress and mess free and fun enough that your kids will want to make them every year. The Nerd’s Wife is full of nerdy crafts, mommy inspiration, and great recipes.